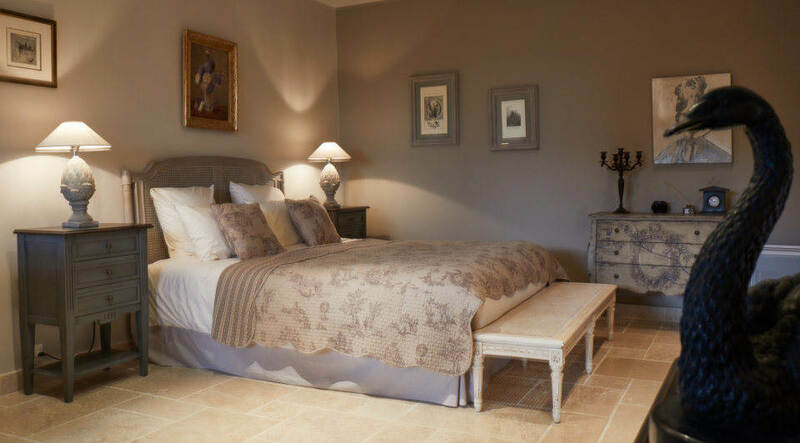 Le Pré de l’Aube, a country house, is an idyllic B & B with pool and spa in the Drôme Provençale. It now also offers and Airstream for rent and 3-4 Airstream ONLY pitches! Situated only 6km from Grignan and 10km from Montjoyer and the Abbey of Aiguebelle, the Pré de l’Aube is a magnificent country house with a heated swimming pool in the heart of a hamlet which is blessed with a chapel dating from the 17th century. 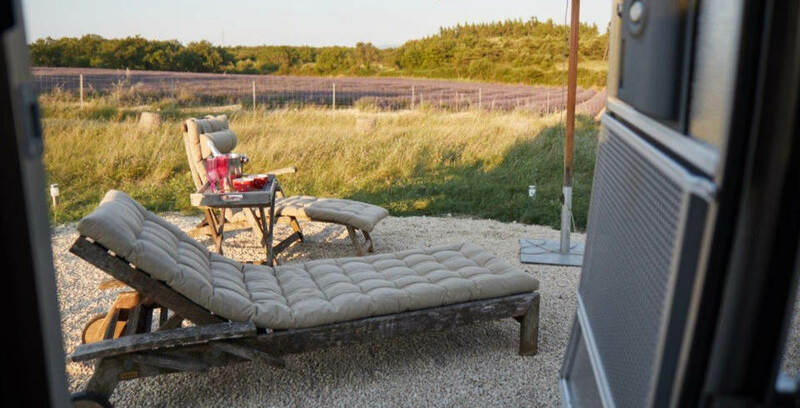 Constructed in the middle of lavender fields and the Grignan forest, it blends charm and elegance. Here you will find a haven of peace, relaxation and calm with all necessary comforts in refined surroundings. The hosts Melanie Herren and Adrian Krähenbühl speak German, French, English and Spanish and look forward to spoiling you with culinary delights and giving you tips for discovering this magically wild environment. Enjoy delicious, freshly prepared food on one of the Terraces, accompanied by the relaxing rippling of the fountain and the chirping of the cicadas. From now on, the Pré de l’Aube is also an exclusive Airstream rental. This has been made possible by the two owners of the Pré de l’Aube, who are also the owners of an Airstream 684. Their Silver Bullet can now be booked on request for 175 Euro per night including breakfast for 2 persons as well as pool and spa use. The great news for Airstream owners is: In addition to renting put their own Airstream, the Pré de Laube is now also an Airstream only Campsite! The site offer enough space for 3-4 Airstreams on the grounds of the property. These can be parked directly with a view over the lavender fields. Fresh water and electricity are available directly at the pitch. A disposal facility is located at a short distance from the pitches. In addition to the pitches, Airstream owners also have access to the pool and spa area with sauna and Jacuzzi. A continental breakfast and half-board can be booked upon request. The cost for this exclusive parking space including use of the pool and spa is only 70 Euro per night. A continental breakfast can be booked for 18 euros per person and the daily lovingly prepared dinner table (table d’hôtes) is available from 32 euros.